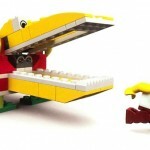 Roman’s Robots specializes in hosting fun and challenging LEGO® robotics parties for kids of ages 4 and up. 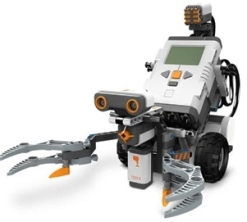 We come to your location and educate and entertain your guests with exciting, hands-on robotics parties with no mess. Your house stays clean and we help make your child’s birthday party a fun, memorable occasion with our fun-loving staff. Our portion of the party typically lasts one hour with optional extended play time. Our service area includes all locations within Arlington and Fairfax County, Virginia. For locations slightly outside our service area in Maryland, DC, Loudoun and Prince William counties, there may be a small ($25) fuel surcharge that goes directly to our instructors. Before scheduling your party, always call or email to confirm that your location is within our service area. Roman’s Robots instructors will come to your location and bring all necessary computers and robotics kits. 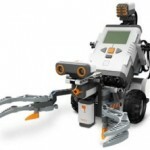 Robo Wars – LEGO® Mindstorms NXT 2.0 Robotics for children ages 7-14. Robo Wars is all about creating remote controlled battle-ready robots and challenging each other in a battle royale style tournament. 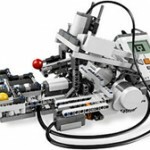 Basic Robotics – LEGO® Mindstorms NXT 2.0 Robotics is for children ages 7-14. In the Basic Robotics party, children build a simple robot and program it to respond to light, touch and/or sound sensors. 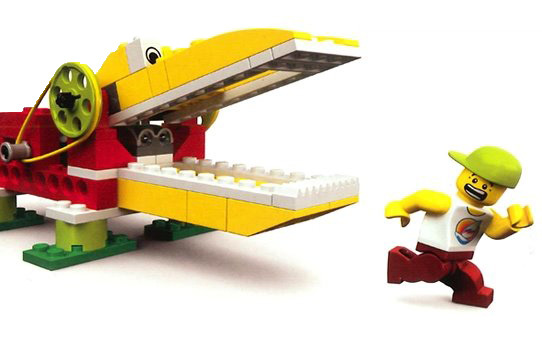 TotBots – LEGO® WeDo Robotics is for children ages 4-7. Children build a robot together, see their robot come to life via an animated video, program it with computer software, and then show it off to their parents. We did the Romans Robots MONA activity a few months ago and my 8 year old son and his friend had a great time. So when it was time to plan his birthday party, I was doing some online research and found a groupon for them. For a party with up to 16 children the theme was “robo-wars”. The party was yesterday (originally scheduled for last weekend but rescheduled for snowzilla). The boys had an absolutely awesome time. I held the activity in my finished basement and they brought everything necessary for the activity. It was 2 mid-20’s guys and they ran everything really well and has the kids attention and good behavior for the entire time. The activity runs about an hour. I highly, highly recommend Roman’s Robots if you have a child between 6-11ish who likes building things and friendly competition! We had mostly 8 and 9 year old boys with 2 sisters (7 and 10) thrown in and a great time was had by all! We hired Roman’s Robots for my son’s 5th birthday. Will (co-founder) was lovely to work with and helped me book and plan for this party. We ended up having a lot of children (approx 30) ages 3 to 7 and when I suggested that we needed 3 people to lead the kids, he was kind enough to oblige. On the day of the party, Nick, Jeff and Anna were our instructors and from the get-go they were polite, professional and patient. I was so busy during the party –but didn’t have to worry for a second about the kids participating in the lego activity. It was a sight to see — all these 4 – 7 year olds quietly and attentively working with computers and legos! Nick, Jeff and Anna cleaned up everything and were just such a pleasure to work with. I highly recommend Roman’s Robots for any lego-loving child’s birthday! Roman’s Robots came to our home and did a Tot Bot Party for our 6 year old son’s birthday. There were 14 kids ages 4-7, mostly boys. The kids LOVED it! The kids were in groups of 2 and took turns adding pieces to the robot chosen by the birthday boy (a bey blade). The software and the robot chosen were age appropriate for the group. Nick and Melissa were very patient with the kids as the range of experience building legos varied greatly. The kids had a mini “Robot Wars” in our kitchen once the robots were all assembled. It was so cute! They arrived on time, set up quickly and cleaned up quickly. Highly recommended for birthday party entertainment and purchasing through Amazon Local made it a great deal! My son loves Legos and robots so when we found two companies who offered a Legos Robots birthday package, we were so excited. One of the companies was located closer to our house but didn’t allow the children to customized the robots so we went with Roman Robots. I’m so glad we did! Roman and his assistant (so sorry I can’t remember her name!) arrived early and quickly setup the area. I am definitely glad we rented the community hall so there was lots of space for the kids and activities. We had extra children (who had previously said they weren’t attending) show up which brought our total to 17 kids, both boys and girls. They were divided into three groups of 4 and one group of 5, which initially concerned us that some kids would be left out; however, Roman and his assistant, with help of some of the parents, made sure each child had input into modifying the robots and that each got a turn to operate the robot in battle. Everyone, including parents, had so much fun and the positive feedback was enormous! Several of parents expressed a wish that they could have had turns, too, and my husband has requested Roman Robots for his 48th birthday! Suggestions for parents: 1. make sure to have a space large enough that the kids can break up into groups with some privacy while modifying their robots; 2. definitely have some adults willing to help out when needed. Everyone had so much fun! We had the Basic Robotics party for our son’s 9th birthday. (7 boys attended) Nick was prompt, professional, and very good with the kids. He was patient and prepared any time someone needed new batteries, extra pieces, or assistance building. The kids paired up and were completely absorbed in building the robots. We were amazed at how quiet they were. Then they had a blast programming the robots to do different things. We were very happy with how the party went. We had kids in the age range 7-10. Nick and Roman came on time. However one of the controllers was not working, so instead of three we had to split kids int groups of 7. To me this appeared a large group size. There was not much of building and in a group of seven I was not sure how everyone could participate enhancing the robots to fight, but when it came fight time, everyone got a chance to compete and that was the time all the kids enjoyed. Some of the kids simply didnt want to use the playstation controllers and instead just watch. The controllers/robiots did need some fixup wok which caused interruptions (and interruptions are never good since so many kids together need to be focused). I think making sure there was a backup controller would have been a good idea, keeping the group size a bit smaller. Giving the kids some steps and telling them how to divide up the build process amongst themselves would be a good idea and in general a more commanding presence is good. Roman gave us heads up when he was finishing up so we could plan ahead. Both Roman and Nick acted as true professionals when it came to using our time and attention (which was all focused on kids that time). They were good and gentle with kids as well. I think overall the kids had a very good time in the party.